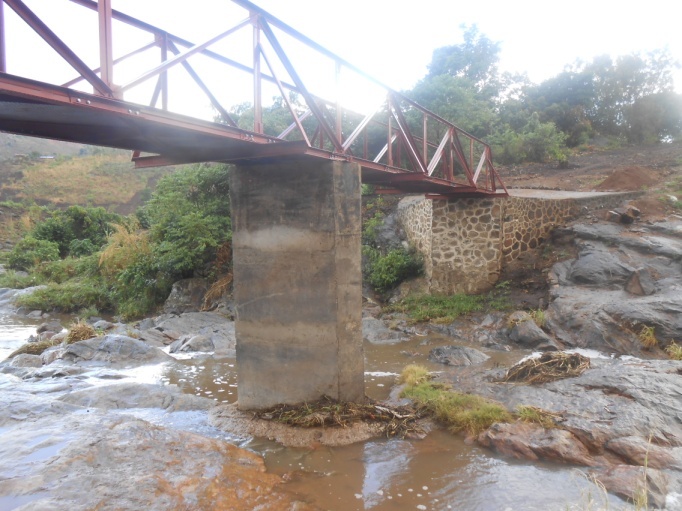 David Pearson’s work with Joshua Orphan & Community Care in Malawi, and funding by our club, has now reached another milestone as the bridge over the Mudi River has now been completed. 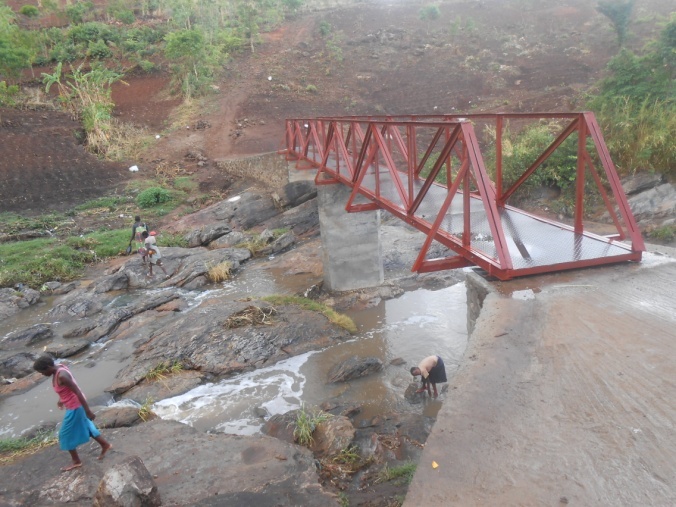 Manyenje Bridge has provided easy access to Manyenje Village while the Manyenje villagers now have an easier access to different social amenities like schools, health facilities, financial services, churches and maize mills. 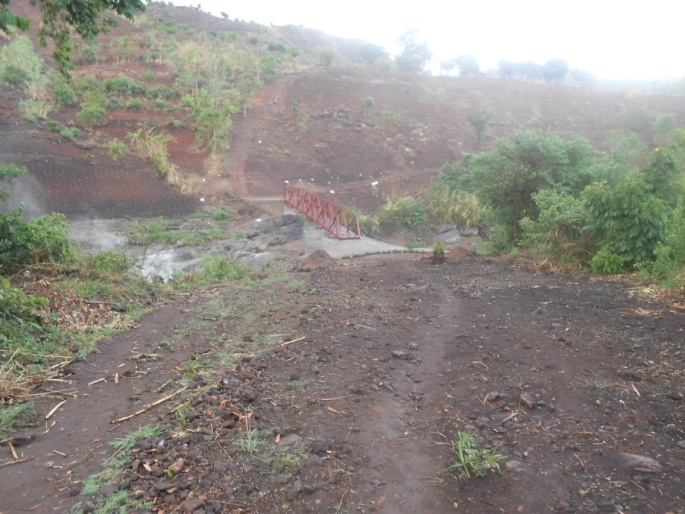 Speaking when the construction site was visited, the Village Headman Manyenje was all smiles that a second bridge had been completed on the south-western side of his village after the first one was constructed a year ago by Rotarian Club. “As you can see, my village is an island and once the Mudi River swelled up during rainy season, this village was inaccessible. No one could neither go out of it nor come into it. Now everyone would have free mobility”, said Village Head Manyenje. Manyenje Village is an ‘island’ surrounded by the meandering of Mudi River on its eastern side and its western side has hills. The easier way to get into the village is by crossing the river. During the rainy season after the river swells up, people of Manyenje could be completely cut out. For example, Manyenje Village is surrounded by three full primary schools; Nchokera, Manyowe and Nancholi and three secondary schools; Nchokera Community Day Secondary School, Nancholi CDSS and Joshua Secondary School. These are the schools children from Manyenje attend. They have to cross Mudi River to access the schools. Attending school could become erratic during the rainy season as it was dependent on the water levels in the river. For example in January 2014 children were unable to visit the feeding centre for more than 5 days due to high water levels. The bridge will not only benefit the people of Manyenje Village but also those from surrounding villages such as Maliro, Mwandika, Mpagaja, Chilunduka, Mbinda and Mulanga. People from villages in the western part of Manyenje would find it easier to get to the nearest trading centre on the eastern side of Manyenje by passing through the village saving time and energy spent walking round Manyenje to the centre. Also children from villages in the western part of Manyenje have been provided with an easy access to the newly built Manyenje Junior Primary School and to Manyenje Under-Six Feeding Centre run by Mary’s Meals. 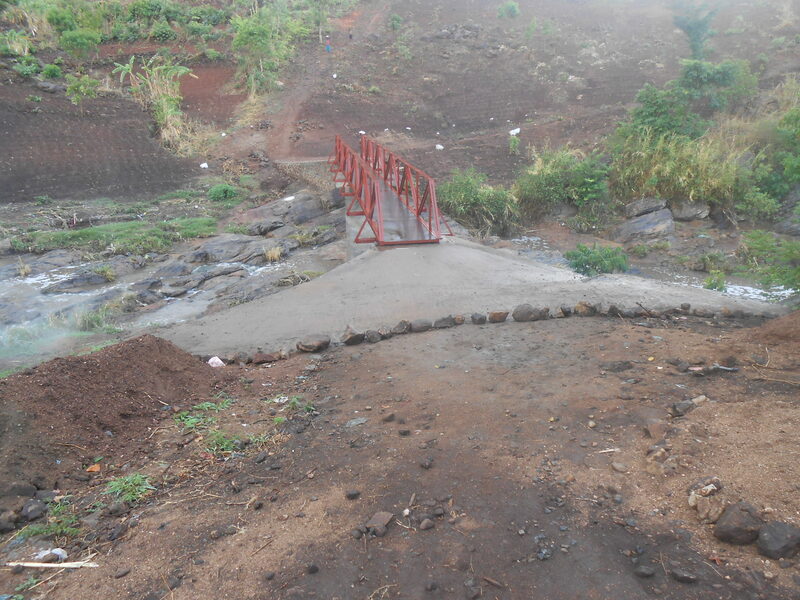 “The bridge will improve the livelihoods of people in Manyenje Village and all surrounding villages. It has been completed timely when the problems of crossing Mudi River were about to start at the onset of the rainy season. Everyone in the village is very happy with the development,” said an overjoyed Mai Kambila, a Caregiver at Manyenje Under-Six Feeding Centre. The Village Headman asked if the bridge could have the name of the donor written on it. Previous Entry Water Survival Box and the Big Give Christmas Challenge.